National and Local SEO package design to rank your website across the UK and within your local area. 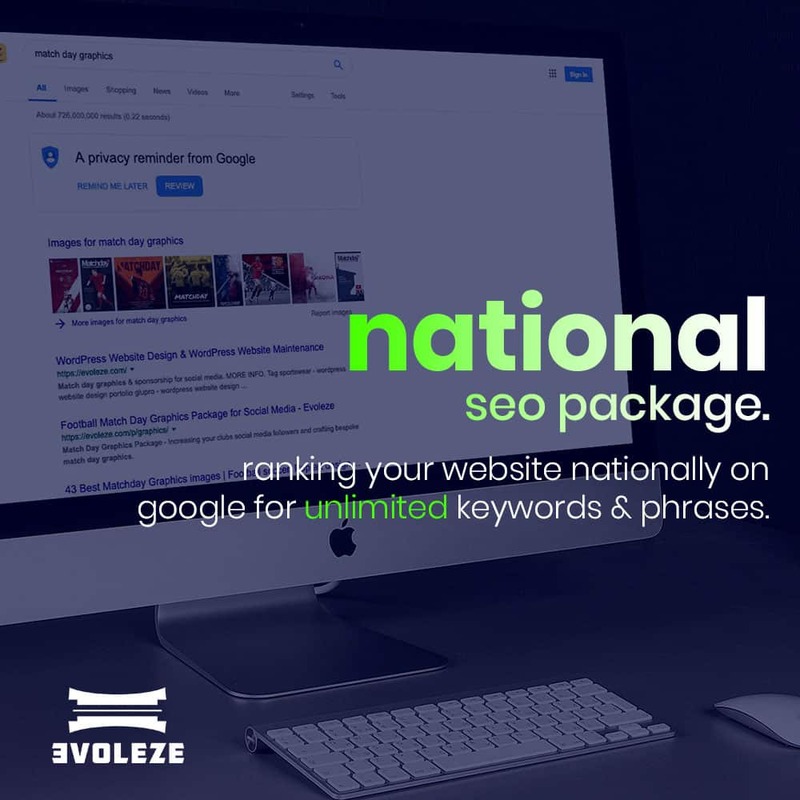 Upon receiving your order we will contact you to discuss your requirements for your national SEO package. Your account manager will contact you via phone or email within 24 hours.